Who is bigger? 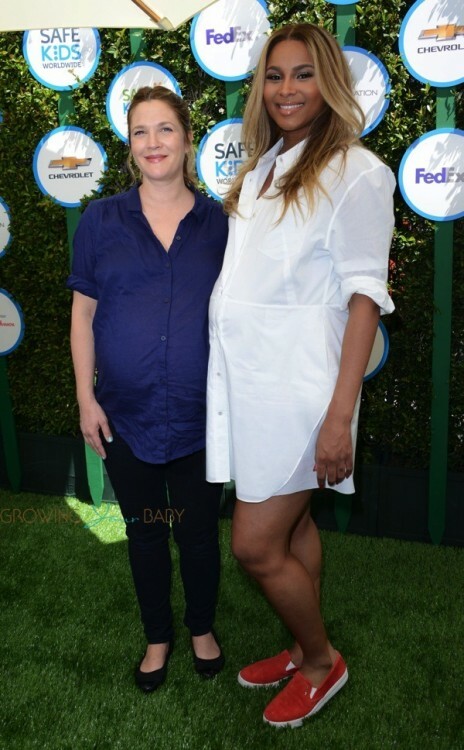 Moms-to-be Drew Barrymore and Ciara were photographed on the red carpet at the Safe Kids Day in Los Angeles. Due very soon, the ladies laughed and likely bonded over baby bellies while attending the outdoor event. “Excited About Joining Safe Kids 2 Day!! Together We Can Protect Kids, Prevent Injuries, and Save Lives!,” Ciara posted on Instagram prior to the event. Drew was dressed comfortably in a button up shirt and black pants, while Ciara wore a white shirtdress. The event was created to prevent childhood injuries. The campaign has already raised $ 868,092 of their 1 million goal. SafeKids.org is well known for their programs and initiatives that combine education, awareness, environmental changes and safety device distribution to get communities more involved in child safety and keep families and children safer. 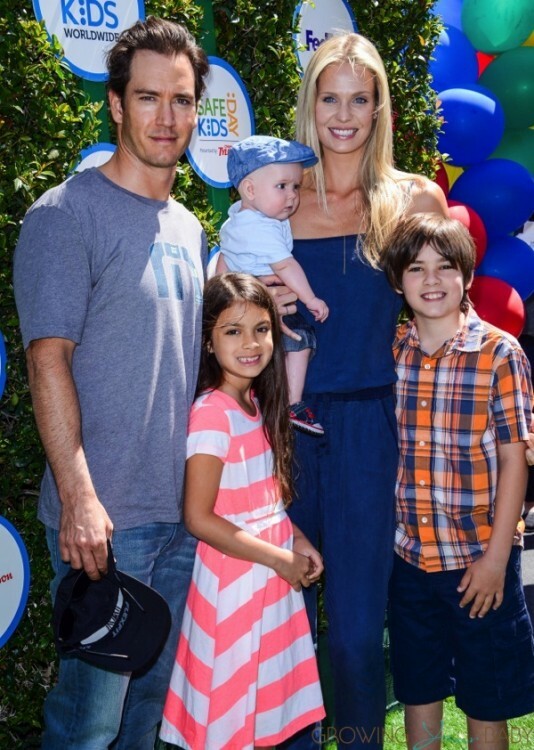 Also in attendance was second time mom-to-be Kendra Wilkinson, her husband Hank Baskett and son Hank Jr.
And also Mark-Paul Gosselaar and wife Catriona Mcginn with kids Ava ,Michael and Dekker.